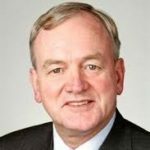 Willem Buiter has taught at Princeton University, the University of Bristol, the London School of Economics, Yale University and Cambridge University. He was an external member of the monetary policy committee of the Bank of England from 1997 till 2000. From 2000 till 2005 he was Chief Economist and Special Counsellor to the President of the European Bank for Reconstruction and Development. He has been an advisor to and consultant for the International Monetary Fund, the World Bank, the InterAmerican Development Bank, the European Commission and a number of national governments and private financial enterprises.